In lighting industry the most important component for developing the LED luminaire is LED driver which must be well designed in terms of quality, reliability, long term sustainability and safety. The LED driving electronics convert the available power source to a stable current source. Just as with any power supply, this process is not 100% efficient. The electrical losses in the driver decrease the overall luminaire efficacy by wasting input power on heat instead of light. The electrical loss should be taken into account when beginning the LED system design. ELT hardware design engineers are responsible for the complete development process from analysis of requirements, creation of concepts and schematic designs to the preparation of functional prototypes, all documentation, and lastly a final product. Many factors effect on electrical device performance. And although there are some basic principles that can be learned, the real master of electronic design needs to be experienced as well. ELT highly-experienced hardware design engineers are available to design and build high performance and reliable systems. Such support includes the provision of reference designs, detailed device and system design rules, design reviews and general advices. The final product must be in high power efficiency which normally reached to 95 as power factor in our product. Prototyping is an integral part of the system level design process because functional prototypes help to identify problems during early design stages and thus minimize risks, development costs and accelerate development cycles. Therefore, a comprehensively produced rapid prototype of any electronic device provides a strong competitive advantage. 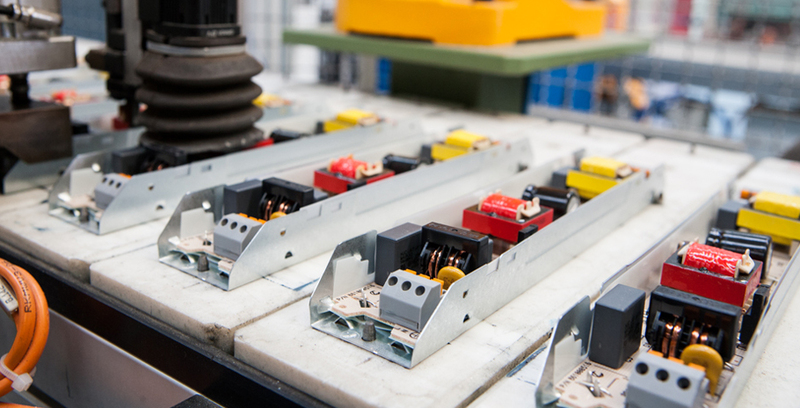 Electrical safety testing is essential to ensure safe operating standards for any product that uses electricity. Various governments and agencies have developed stringent requirements for electrical products that are sold worldwide. To conform to such standards, the product must pass various safety tests. We have the facilities to perform safety tests or we send to outsource lab to ensure that the product meets all legal requirements. Each electronic device needs to pass through a testing stage in order to verify its functionality and to characterize its properties. Testing procedures are usually performed several times during device development as they provide the designer with feedback essential for correct electronic design. All measured parameters are processed by software and exported to reports. System typically requires evaluation to assure compliance industry standard. Depending on lifetime, critically of use and replacement cost of system, additional protection of sensitive components must be evaluated.